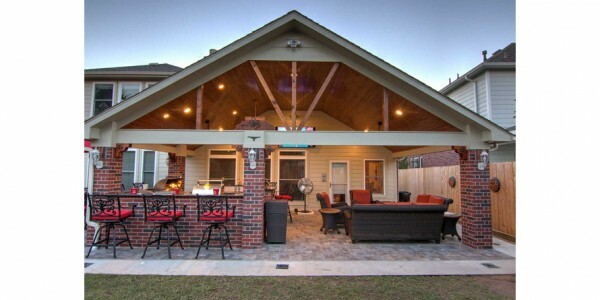 Are you thinking or planning about remodelling and improving your backyard? Then consider including an outdoor fireplace or fire pit. 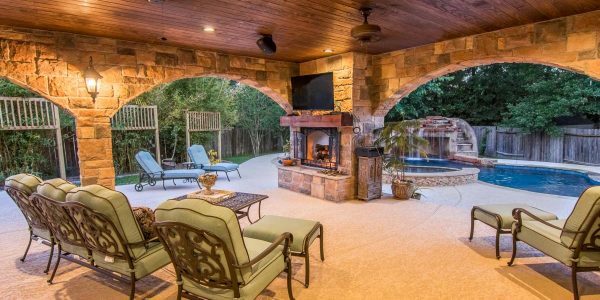 Any home with a patio should definitely include a fireplace or fire pit as part of its structure. Who doesn’t love spending the evening sipping a drink while watching the sunset with friends and loved ones around a fire? 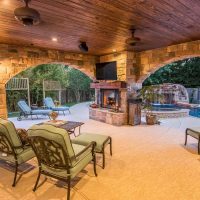 An outdoor fireplace or fire pit in the yard creates an all-season attraction, whether for winter, summer, spring or fall. It doesn’t just increase your home’s value or give you years of outdoor relaxation and enjoyment with family and friends – it greatly enhances the beauty and style of your home, while also giving you a comfy environment to keep you warm on cold nights. 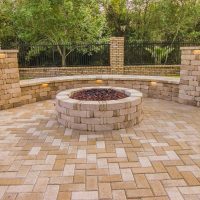 An outdoor fire pit is considered the perfect central point for relaxation, entertainment and can even serve as an alternative kitchen. It creates an inviting atmosphere plus an ideal spot to share exciting stories and make treasured memories. 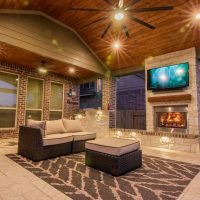 With the growing popularity of outdoor fireplaces, fire pits and other outdoor living areas that expand a home’s usable space, homeowners are now making available features that can provide warmth and create great ambiance for their families or visitors to enjoy. 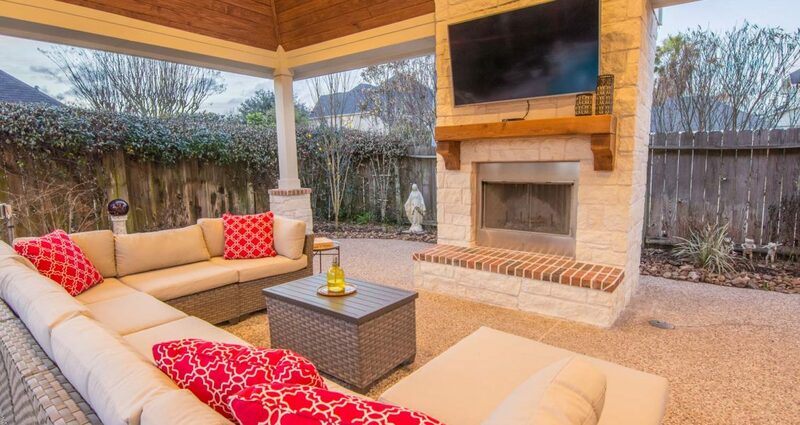 Enhance your outdoor living space and turn your yard into a relaxing retreat by adding a fireplace or fire pit. It’s a simple home improvement project that’s easy to complete. 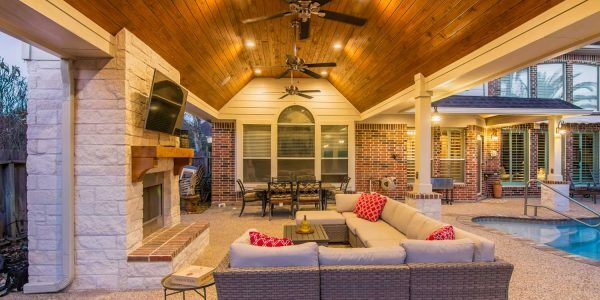 Here are a few reasons to consider adding a fireplace to your patio project. 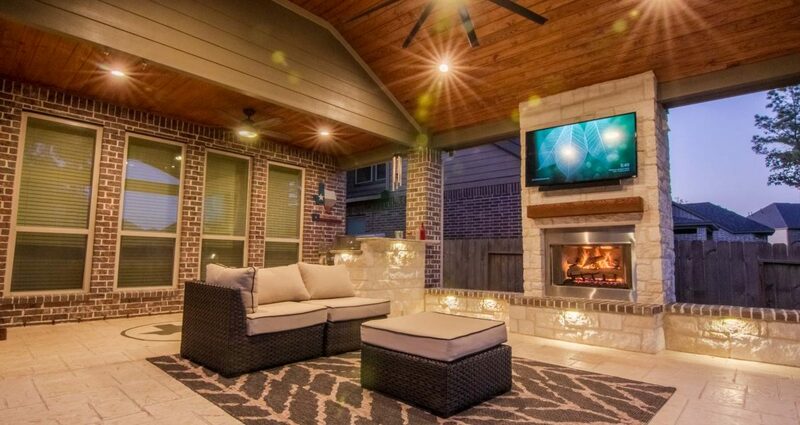 An outdoor fireplace helps you stay warm on cold nights while also giving you more time to enjoy your backyard. 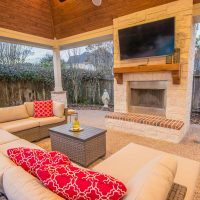 If you wish to bring the inside out, then an outdoor fireplace or fire pit is your best bet to mirror the standard living room perfectly. This beautiful spot adds beauty to an outdoor space that cannot be attained from anything else. It adds a dramatic warmth and a warm invite to a space. The warm glow creates a perfect and lovely setting to spend time with your significant other or with friends. A little bit of warmth goes a long way. They say food tastes better when it’s been grilled, and that goes for any season. 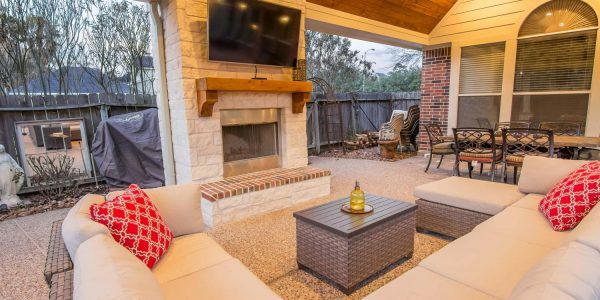 Including an outdoor fireplace or fire pit to your patio gives you just that perfect spot to toast your marshmallows. It creates an undeniable romantic appeal and gives you interactive cooking experience and more chances to enjoy cooking over an open fire. People gravitate naturally towards fire. A beautiful fireplace or fire pit not only adds great ambiance, but also provides the perfect centerpiece for a conversation area especially when you have guests over for a party. Outdoor fireplaces or fire pits are great focal point for your outdoor space. It provides structure and definition while allowing you to add a little drama to your space. Outdoor fire fixtures like these can adapt to different design styles and elements and will generally enhance the look of your space. When considering a home remodeling project, it is good to focus on improvements that come with great return on investment. 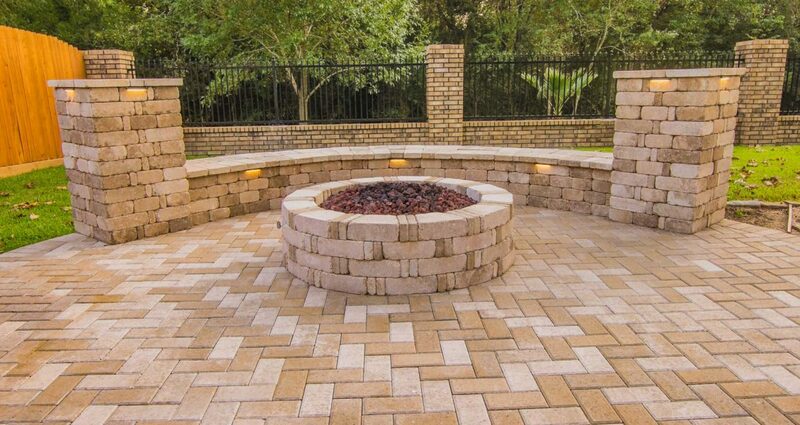 An outdoor fireplace or fire pit is a perfect option. Not only will you and your guests enjoy your landscape, it also increases home value and appeal to prospective buyers. Spending 5% of the total value of your home on landscaping, entitles you to an addition of 15% or more to your home’s value. If there is an outdoor fireplace, a home’s value can be increased by up to $3,500. 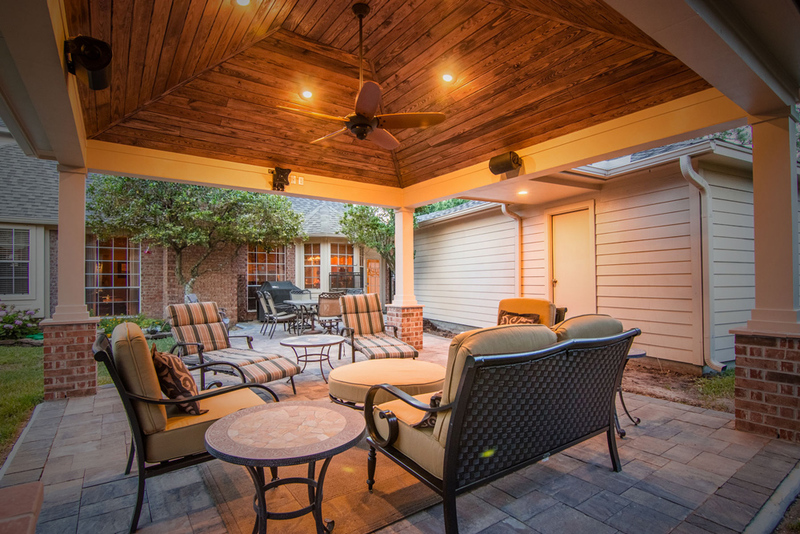 This is a very crucial factor in planning your outdoor remodeling project. The fireplace or fire pit has to be easily accessible from the house or the guest house. For large backyards, building a separate patio further from the house with a large outdoor fireplace will be reasonable. This will create an extra space for an even better experience, making it the focal point in your outdoor setting. For a small , you should consider attaching the fireplace directly to the house or patio. This is factor should be considered critically. The general appearance of your fireplace or fire pit should be designed to comfortably fit the size of your yard. 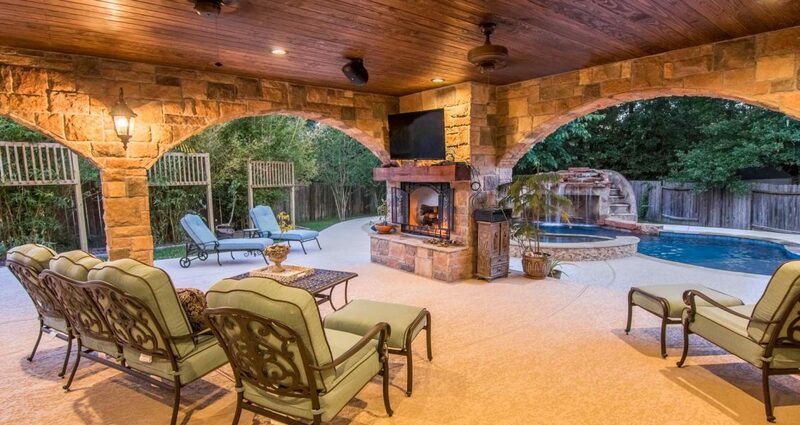 Entertaining large groups of people requires a large outdoor fireplace with an extended hearth and sufficient room in front for guests to move around freely. Likewise, entertaining smaller groups requires a smaller fireplace. Fireplaces need proper ventilation and safety from a possible fire. A perfect fireplace requires proper ventilation and safety from a potential fire that could possibly start by sparks igniting nearby. For convenience, you should build your fireplace or fire pit close enough to the house, but should never cause a safety hazard to the house or the neighborhood. It is not advisable to build your fireplace under a wall or roof line with a blocked airway. In case of an emergency, always store a fire extinguisher near your outdoor fireplace. If you’re still having difficulty making a decision, we at hhipatiocovers.com are professionals and are more than happy to give you a helping hand and point you in the right direction in finding you the best fit for your space, style and budget. 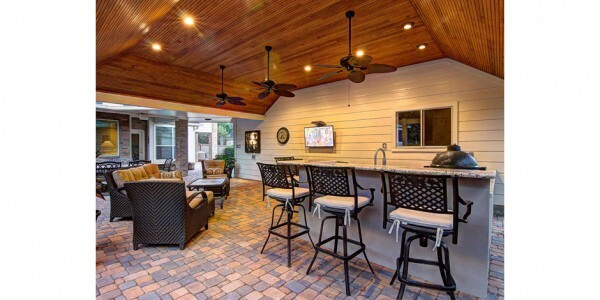 See what these patios looked like before being remodeled! 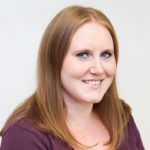 check out their before and after pictures.